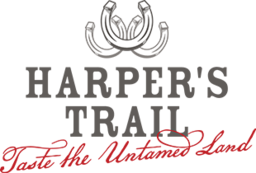 We are pleased to introduce you to Harper's Trail, the first winery to open in Kamloops with wines made from 100% Kamloops grown grapes. Winery on-line; private wine stores and restaurants in the BC interior. Visit website for a complete list of where to buy. Tours must be booked in advance. Private tours including tastings are $10.00 per person. we offer an assorted selection of Gone Crackers, Salt Spring Island Cheeses, Little Qualicum Brie Cheeses and wine jellies made from Harper's Trail Cabernet Franc and Late Harvest Riesling. We offer a variety of tastings and for this there is a charge of $5.00 per person with half of the proceeds going to local charities.